SO. 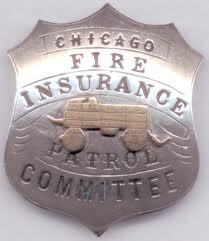 You’ve got the fire in surance. Your forever home will be Heaven. “But I thought that everything would change when I met Christ. Psalm 13:1-2 (NIV) How long, O LORD? Will you forget me forever? How long will you hide your face from me? How long must I wrestle with my thoughts and every day has sorrow in my heart? How long will my enemy triumph over me? Even the most notable Christian leaders of our time have experienced the same thing. Well known or unknown, weak or strong, rich or poor. In a house or in a hut, on a boat or in a plane, in a big city or the smallest of towns. It doesn’t matter whether you are well-educated or not educated at all. The same thing is common for all of the types listed above. Things can get worse after receiving Christ. Simply put, you now have an enemy. He would like to destroy the potential you gained by saying “Yes” to Jesus. If you have not said “Yes” to Jesus , please see the “Rescue” tab on this blog. Why would I want to say “Yes” if this is what is going to happen? We’ll look at that shortly. Romans 8:37-39 (NASB) But in all these things we overwhelmingly conquer through Him who loved us. For I am convinced that neither death, nor life, nor angels, nor principalities, nor things present, nor things to come, nor powers, nor height, nor depth, nor any other created thing, will be able to separate us from the love of God, which is in Christ Jesus our Lord. Nothing can separate us from His love. What can separate us from the love of God? Nothing. No thing. This love is shown to us through Jesus Christ our Lord. So how can we ever stand up against this enemy of our souls? Ephesians 6:11-13 (NASB) Put on the full armor of God, so that you will be able to stand firm against the schemes of the devil. For our struggle is not against flesh and blood, but against the rulers, against the powers, against the world forces of this darkness, against the spiritual forces of wickedness in the heavenly places. Therefore, take up the full armor of God, so that you will be able to resist in the evil day, and having done everything, to stand firm. Ephesians 6:13-15 (CEV) So put on all the armor that God gives. Then when that evil day comes, you will be able to defend yourself. And when the battle is over, you will still be standing firm. Be ready! Let the truth be like a belt around your waist, and let God’s justice protect you like armor. Your desire to tell the good news about peace should be like shoes on your feet. OK. How do I do this? Read God’s word. He sent this love letter/road map to guide us in our days here on this earth. It is …. The Truth. If we read it, we will know what He thinks about all the things that concern us. Repent. What does that mean? The easiest way I’ve ever heard it said is this way. Recognize your wrong doing, and turn around and go the other way. A change of direction. God’s word is full of directions for this change. Righteousness begins here. Be obedient. Submit your will to God (not as in door mat submit, but as in I love You God submit) Reading His word will show us how He thinks. The first thing we’ll notice is that what He thinks and what the world we live in thinks are very much opposite. This is why this new life with Christ can be so difficult. His word never promises it will be easy, it does promise however that it will be worth it. Strength comes from obedience. Be intentional. You’ll have to choose to be intentional. The enemy of your soul won’t like it one bit. He’ll distract you at every turn. You’ll need to choose again and again. As you choose though, you will see that the choosing becomes easier. We are beginning to be ready, the gospel shoes are beginning to fit. Receive God’s peace. God’s word gives us peace in our heart. No matter what goes on in our daily lives, the peace of God lives in our hearts. When we are in the center of His will for us, He will fully provide for us, no matter how things look. This means that even in extreme circumstances, we can be at peace. So here we are, regarding to your question about saying “Yes” to Jesus. Isn’t it a most amazing idea to have a peaceful heart in the middle of, well …. everything? “Pulled me out of the fire”.